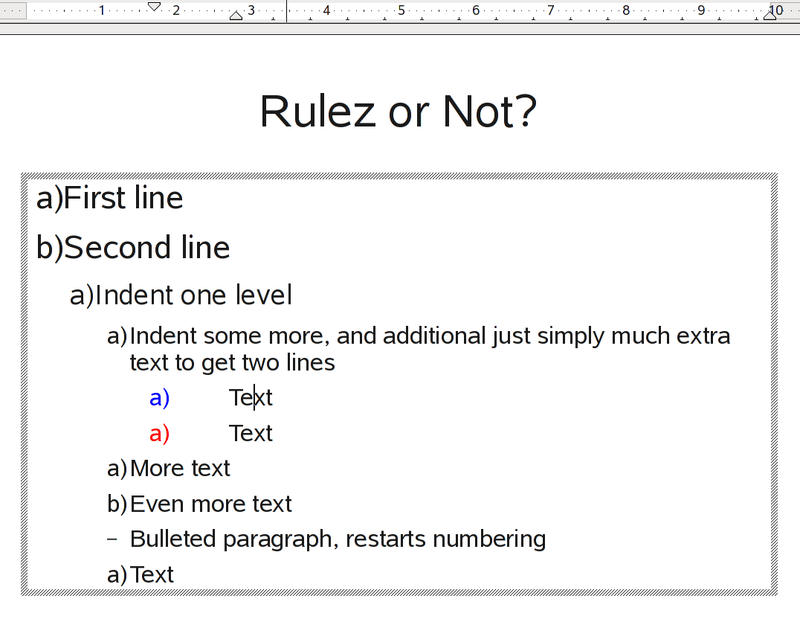 Somewhat different – changing outline attributes don’t affect numbering. 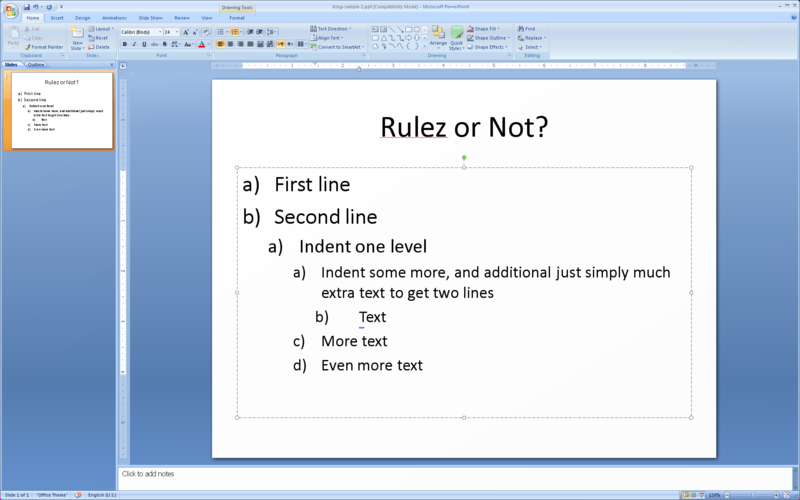 I initially thought a bit about the indentation issue, as you can find arguments for both ways; ultimately though, deviating from MSO for no extremely good reason is something we usually avoid in OOo-land; and incidentally there’s a good reason for the way PowerPoint is doing it: indentation, font, coloring, numbering scheme, etc. is just formatting. The only thing I would consider content is the outline level, i.e. the depth of the nesting (of the numbered paragraphs), on the document level. Dear LazyWeb, feedback about which behaviour you find more usable (and less surprising) much appreciated.